I think a lot of people are multicraftual-they know and practice more than 2 or 3 crafts. 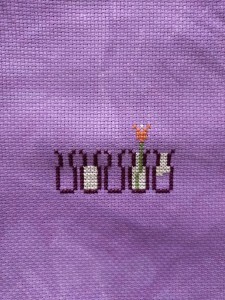 In no particular order I cross stitch, knit, crochet, embroider, tat, and sew (nothing major, easy stuff and repairs). 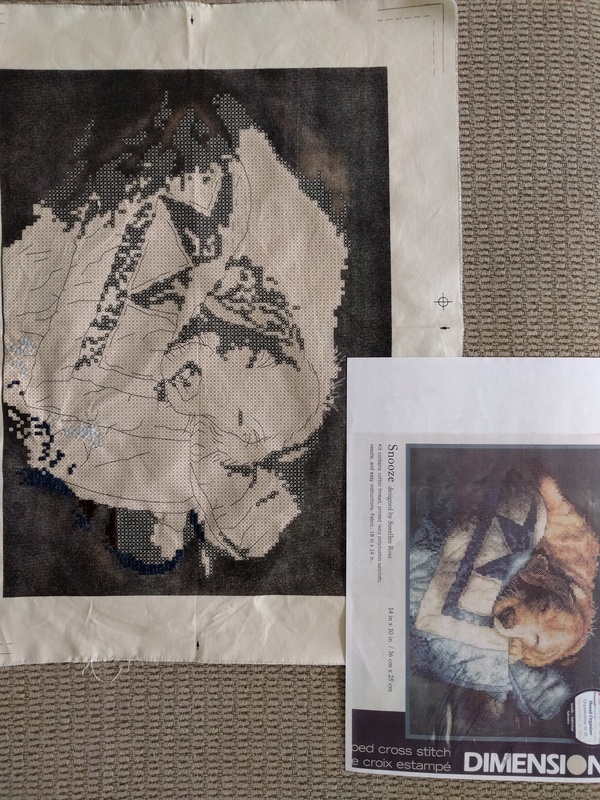 But every crafter started with that One Craft, the one that got them head first into making things with their hands, doing something relaxing and fun, then enjoying the finished piece, whether it is useful or just hangs on the wall/tree/child/etc. 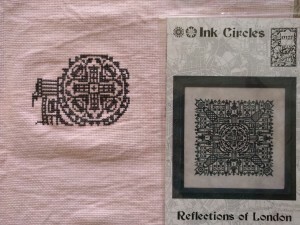 Anyway, I mention cross stitch because it’s my favorite of the crafts, and as such, I have a lot of WIPs and starts laying around. Last year I dedicated time to finishing up yarny projects and I’m happy to say I got it down from 30+ open projects (oof) to under 12. 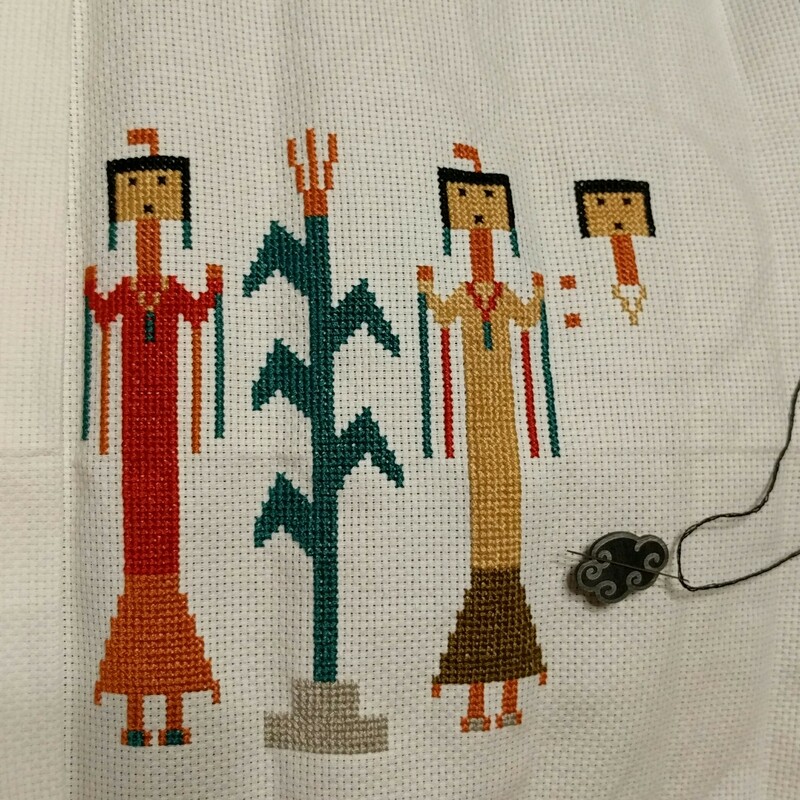 I finished all but one gift that was promised, and that one is coming along just fine. I had a hard time last year-I got really stressed out and my anxiety went through the roof. Crafting usually helped me before but I was so tense, I started lots of projects in 2015, thinking how fun they would be and how fun it is to start something, but then I’d get busy or run out of steam, and never finish them. That would add to the anxiety and I would hear the old “you can’t even finish what you start” nonsense my panic monster loves to talk about. Well I showed her! 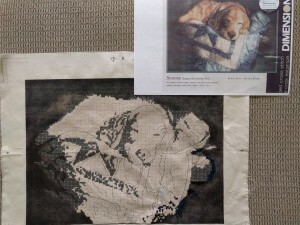 Check out my ravelry page to see how much I finished/frogged if you want. So now I’m back to knitting and crocheting for fun, not as a frantic exercise to relax. 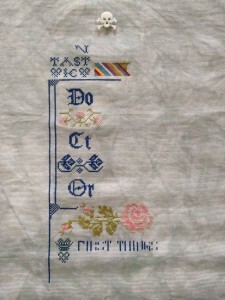 And back to the point: this year I’m working through those cross stiches! 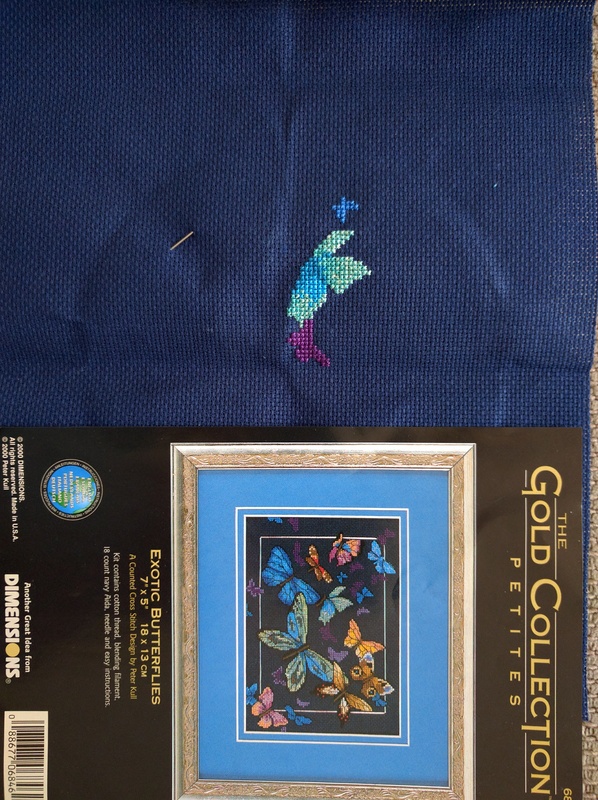 I collected so many patterns and kits, and then I had a hint of mortality and realized I might not have time to finish them, even if I live to 100, lol. So I gave a way a lot of patterns, a few kits, to make room for the ones I want to do. 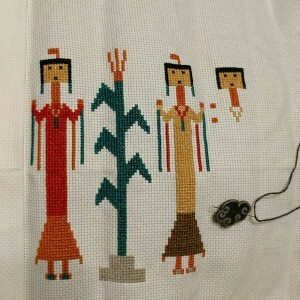 I have about 10 unfinished objects/projects (UFOs). One is a gift for my folks, but there’s no rush on that. I try to finish gifts first. This one is definitely getting done this year, hell or high water. Time for pictures! I organized everything into two places: storage for patterns and kits to be done later and a nice project bag for the UFOs. Picture dump ahead! Hard hats on! This bag was originally for scrapbooking and works very well for all my patterns and supplies and stuff. The little box is a fake book I picked up somewhere. I added a magnet to the inside so it stays closed better. 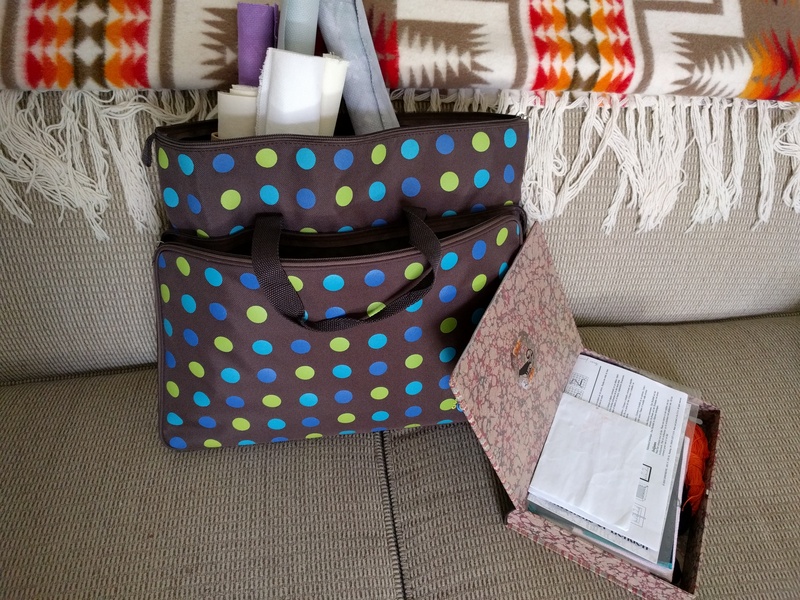 It’s easy to put in my bag for trips and can hold more than one project. Doctor Who sampler SAL with Penny. 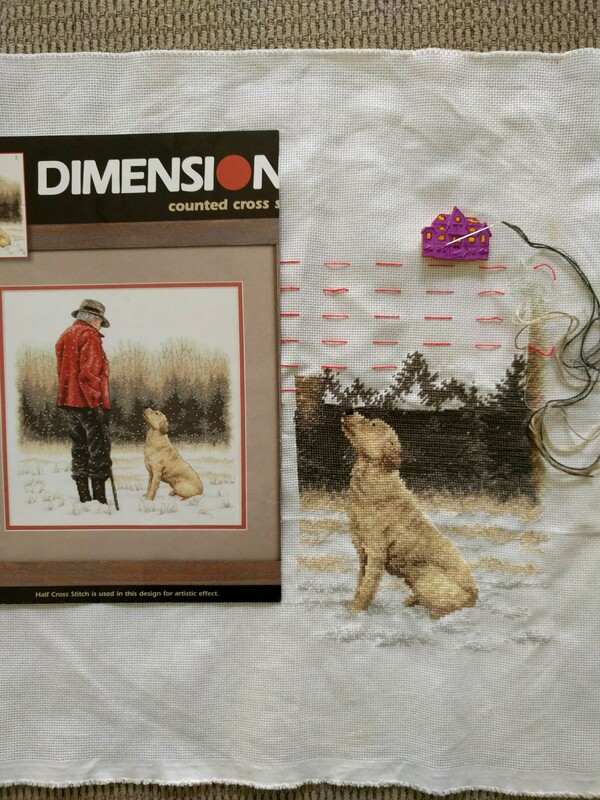 DMC thread from stash, pattern and fabric from etsy-I’ll list links at the end of the post. 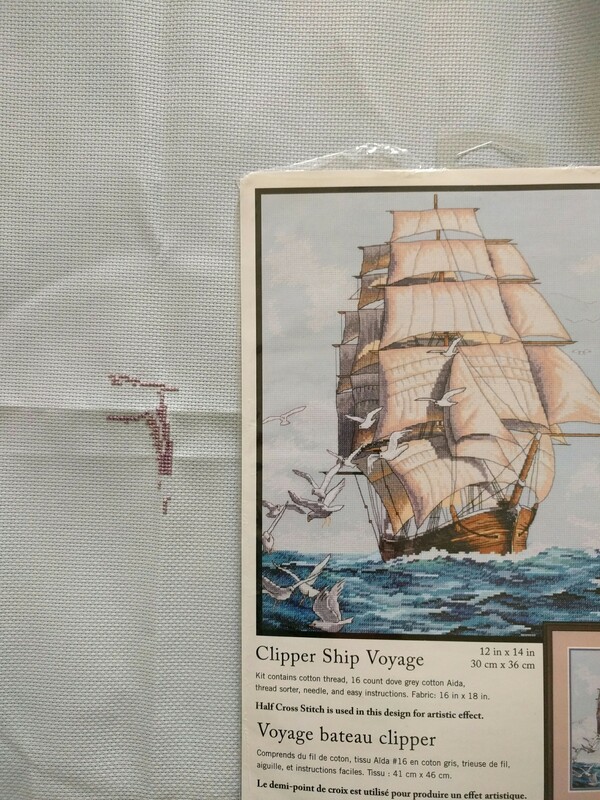 Clipper Ship Voyager kit by Dimensions. 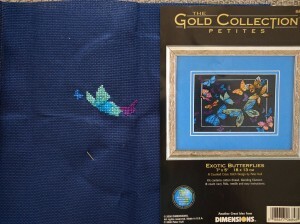 Exotic Butterflies kit by Dimensions. 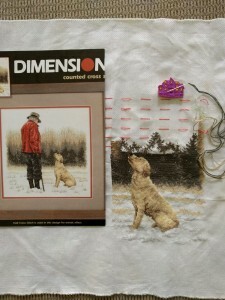 Man’s Best Friend kit by Dimensions-this is the gift for my folks. I can’t resist labradors! 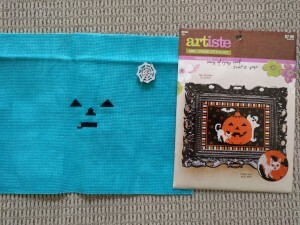 Artista Halloween kit. 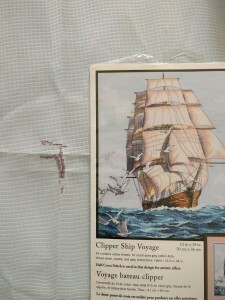 I’m using a bright blue from Garibaldi’s Needleworks instead of the included white fabric. 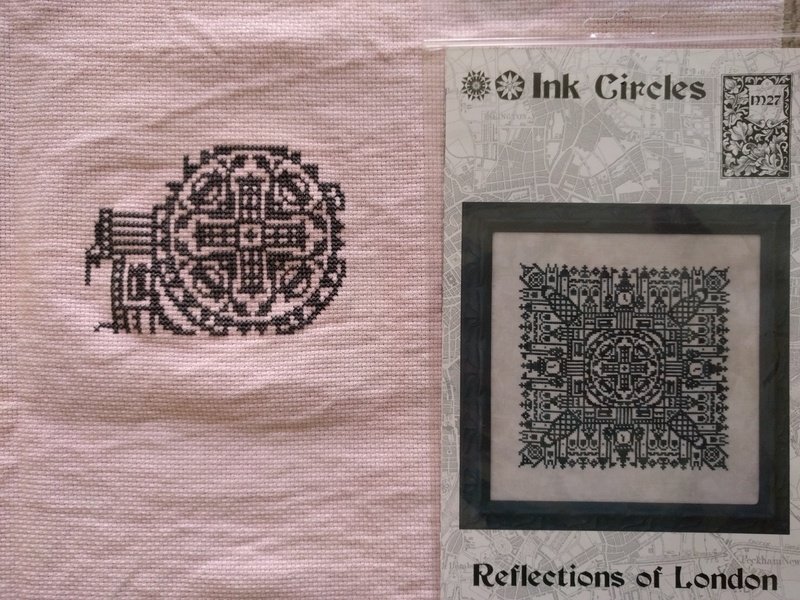 Life’s too short to stitch that entire black background! Blue will look very nice, methinks. These are all the projects I’d like to do eventually. 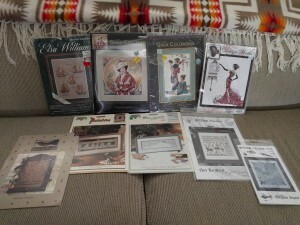 Not shown are my new Victorian houses patterns I bought on a whim. They should come in the mail soon. 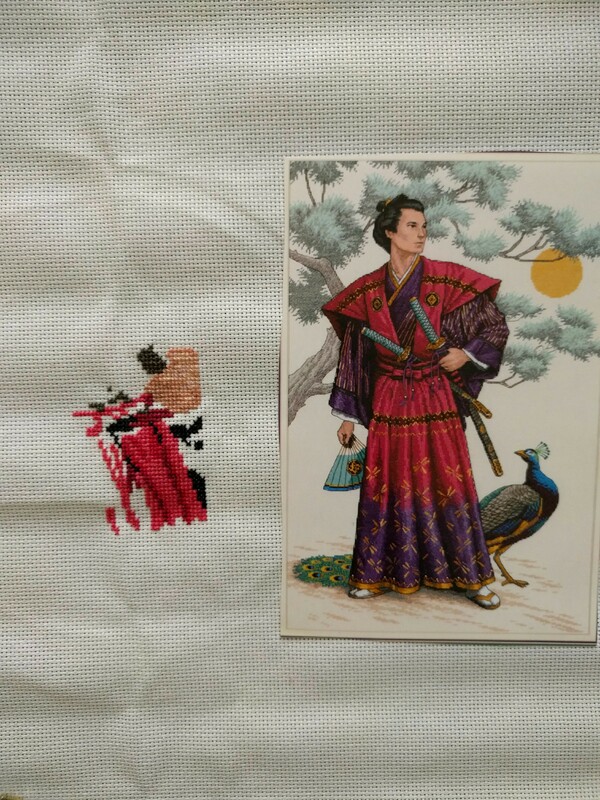 I’ve been posting about Yei, here is my latest progress! I have Yei in my roll up bag. 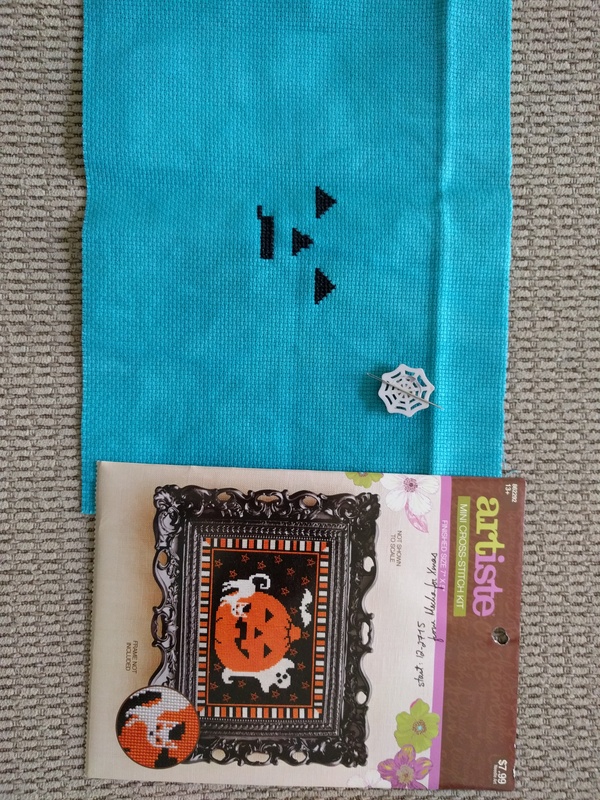 Once I finish it I’ll put the Jack (pumpkin) kit in there for my next finish. 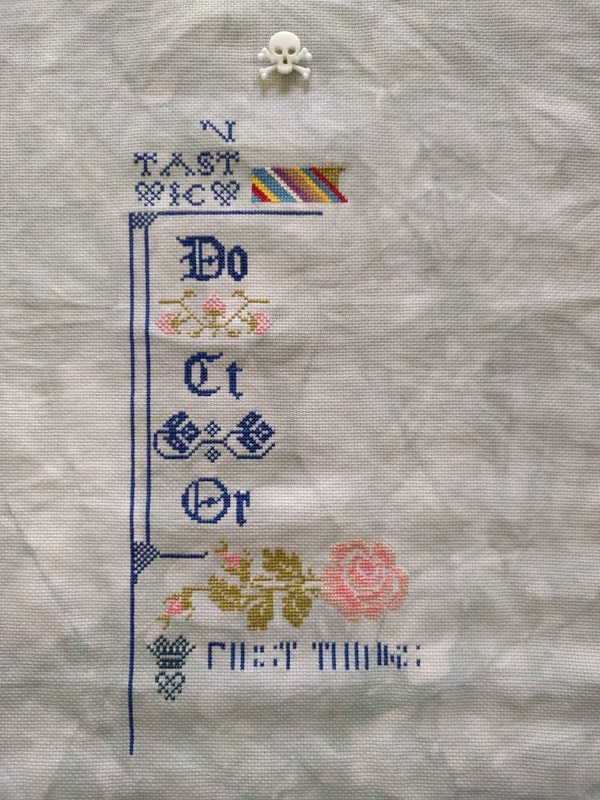 Yei doesn’t have any backstitch and Jack has very little, making them a lot faster to finish! All those pictures. 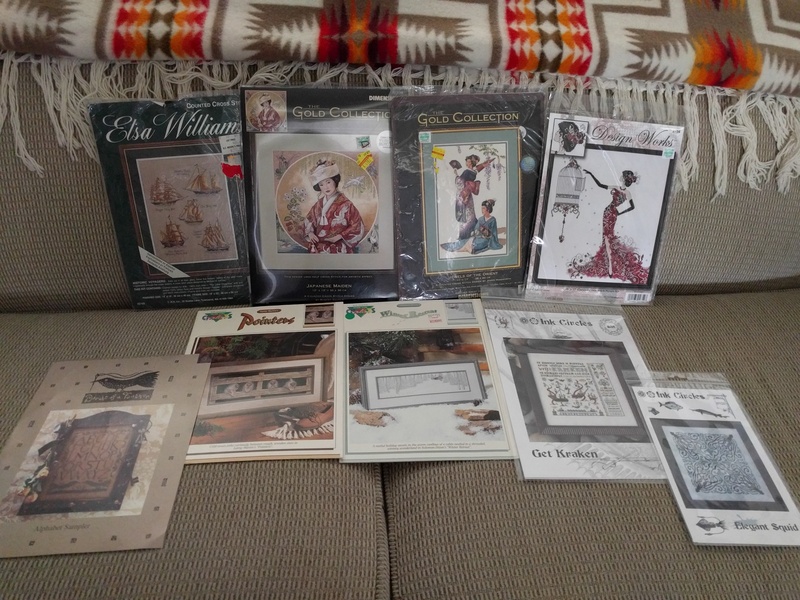 Those are just the big ones-I didn’t count all the wee little stitches, Satsuma Street, Debbie Patrick’s Winchester House and San Francisco Rowhouse and other patterns I want to do someday! 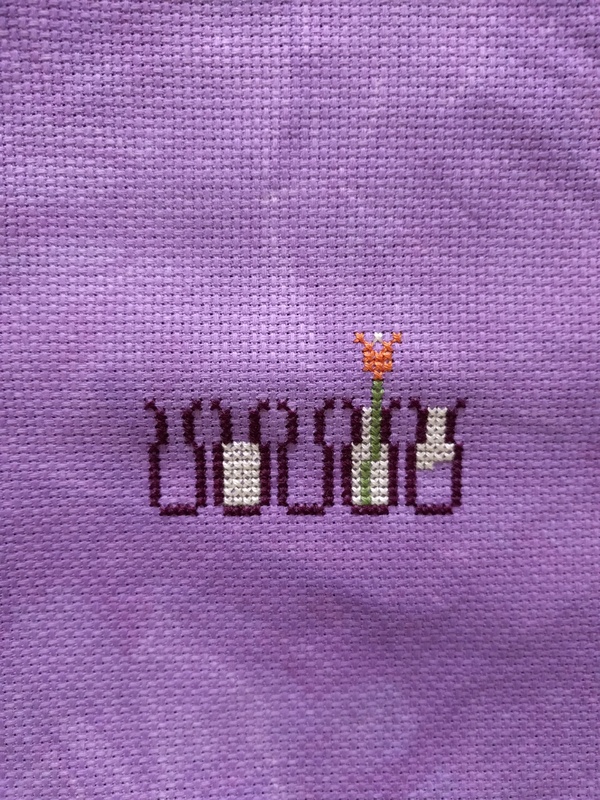 Hi, my name’s Kat, and I have a cross stitch obsession. P.P.S. I hope you like the blog so far! I’ve had fun writing it. Go forth and craft today! !